The new Adams Speedline Super S Black Fairway Wood is designed for one simple purpose - LONGER DISTANCE. The Adams Super S Fairway woods have a re-designed cut thru sole and velocity slot technology that creates a higher initial launch angle for amazing distance. You will hit this club longer than you've ever hit a fairway wood...off the tee or from the fairway! Adams Super S Black Fairway Woods have a new matte white crown with graphics to more easily align to your target at address. Love this club, easy to hit, very forgiving, and love the sound of it, its got a different pleasing sound when you strike the ball, and thank you Carl's for getting it to me SO quick!! This was the most pleasant online shopping experience I have ever had! If I wasn't holding these beautiful clubs in my hand, I'd still think the deal I received was too good to be true! 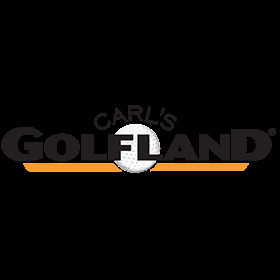 I love Carl's Golfland! Great price and service as always! Thanks!